Who would guess that a small Episcopal church tucked into an unremarkable residential neighborhood could become such a hopeful example of community building here in Los Angeles? 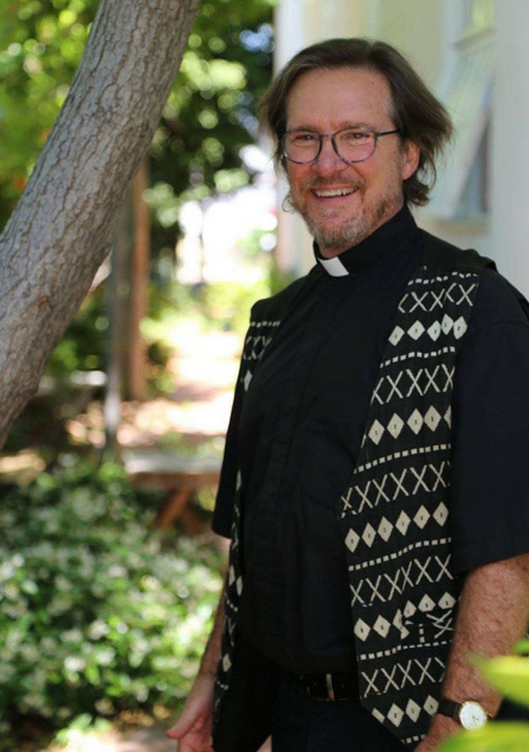 Kelly and I attended a tearful sendoff yesterday for Father Peter Rood whose leadership at Holy Nativity Episcopal Church is an example we should all consider emulating. Fr. Peter is taking a job in Oak Harbor, Washington and LA’s loss is Washington’s gain. 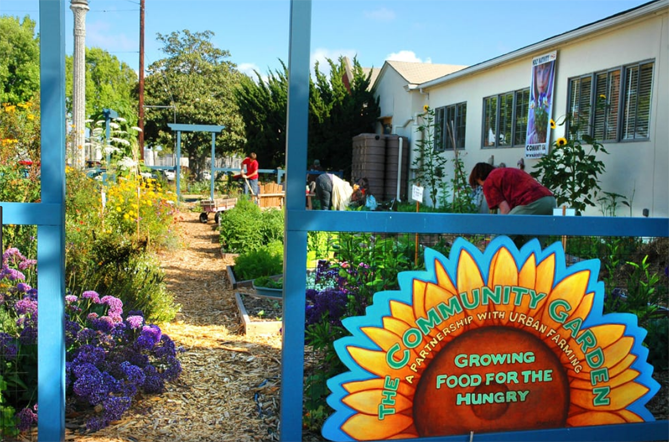 Over the years he collaborated with Joanne Poyourow of Environmental Changemakers to transform a large unused area of lawn into a community garden. Part of the parking lot became a community bread oven. When the city couldn’t find a location for a child’s playground he offered another large part of the church’s property for that project. He taught regular yoga classes, hosted Alcoholics Anonymous meetings, provided space for music and dance groups and home schoolers, and built a meditation space open to anyone who wanted to use it. Along with Joanne, he generously hosted several book promotion events for us, including lectures, a beer making party and pickling and bread classes. He nurtured deep relationships with other faith traditions and hosted ecumenical lectures and events. Peter is of the “ask forgiveness not permission” style of leadership. In keeping with this he says “yes” where others might hem and haw and wait to check with the higher ups or fret about insurance. He speaks often of addressing the “low hanging fruit” in our communities, things like planting a garden, mulch and compost. Many years ago he banished paper and plastic plates from the church’s kitchen, installing a commercial dishwasher and accumulating a supply of ceramic and metal utensils. Along with Kelly, he’s also the survivor of a harrowing aortic dissection. There are a number of lessons to take from Fr. 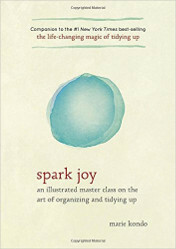 Peter’s example. Faith communities should consider opening their doors to the community and find ways to collaborate especially since many sit empty during the week. It should also be noted that Joanne was never a member of the church and that didn’t matter. Another lesson is for community members: don’t be afraid to approach faith communities with an idea as Joanne did. Some might say no, but many will be happy to help. I’m willing to bet that most won’t proselytize or ask for anything in return. Schools, of course, are another place where this sort of collaboration can happen but faith communities can be more nimble and often have a leadership continuity that stretches back hundreds or even thousands of years. In our time of ecological crisis we might just need to lean on institutions that have this sort of long range perspective. Rumor has it that the folks in St. Stephens in Oak Harbor are already talking about a community bread oven. If you’re reading this and live in Washington please give Fr. Peter a hug for us. We sure will miss him down here. For more detail, I recommend listening to this lecture by Fr. Peter explaining the history and approach he took to Holy Nativity’s community collaborations. Jews and Muslims, it is time we put our disagreements aside. This evil is too great, too evil. We must stand together against this, and see that in our demand for non-weird hummus, we can see each other’s shared heritage. 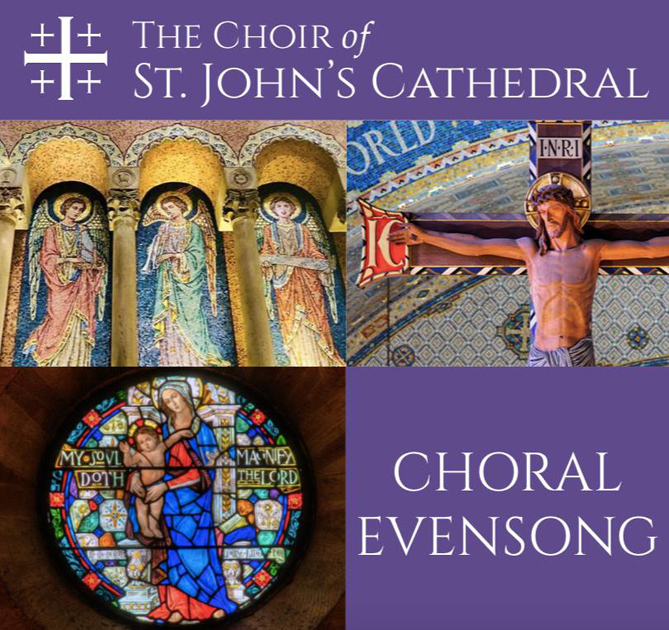 The Choir of St. John’s Cathedral will present Solemn Choral Evensong for the season of Lent, featuring music by Buonemani, Howells, Bridge, and Ešenvalds. The Rev. Michael S. Bell, Chaplain to Good Samaritan Hospital, will be the guest homilist. 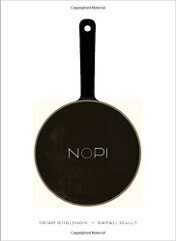 There will be complimentary valet parking starting at 4:30pm, and a warm reception following the service. All are welcome. Historic St. John’s Cathedral is located at 514 West Adams Boulevard in Los Angeles. Root Simple reader Morninglory asked for a closeup of our new wallpaper so here you go. 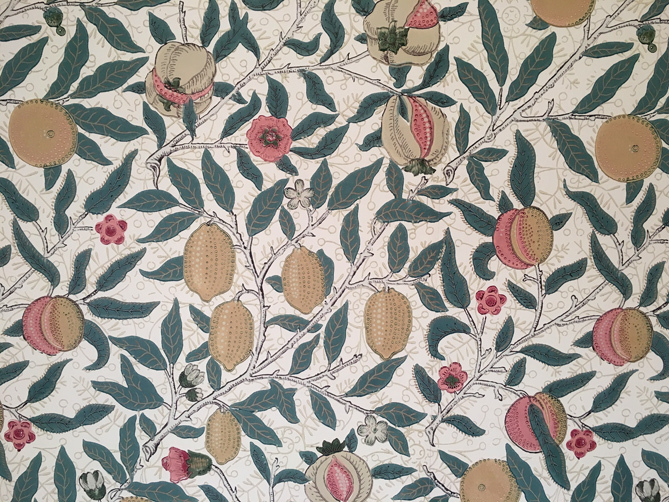 It’s William Morris’ popular pattern known as “Fruit,” first produced in 1864 and still available in a variety of color combinations. There’s also a version with birds (put a bird on it! ), but Kelly thought the bird-less version would look less repetitious. We also installed Morris’ “Daisy” wallpaper in our breakfast nook. 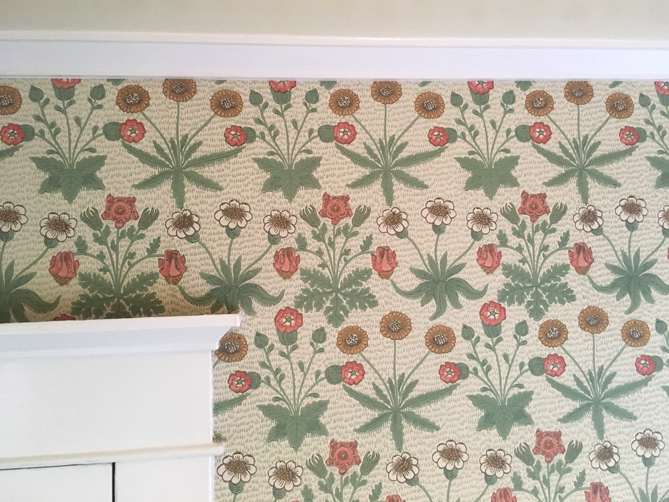 “Daisy” is the first wallpaper that Morris manufactured and it’s inspired by the illustrations in a book in his parent’s library that he thumbed through as a kid, Gerard’s Herbal. Morris discovered a talent for patterns by way of failing miserably as a painter. While he couldn’t paint a human figure or animal well, he had a talent for patterns that grew out of a lifelong obsession with illuminated manuscripts. 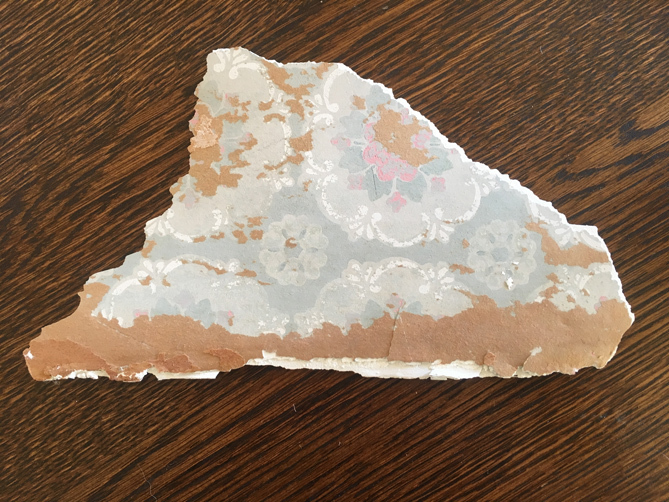 While working on the house last summer we discovered a fragment of the fuddy-duddy wallpaper that covered the walls in the 1920s. Partly inspired by this, Kelly ordered some samples of the Morris papers and when they arrived in the mail I thought they were so striking that we had to install them in spite of my fear of wallpaper and the great expense of the paper itself. 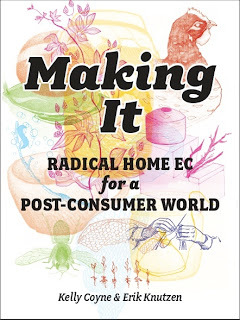 I very briefly considered installing the paper myself but then read some how-to directions that made my head hurt while, simultaneously, discovering Eric of Garden Fork’s video, “I’m Hanging Wallpaper, What Could Go Wrong?” It turns out a lot went wrong and when I wrote Eric he told me to hire someone. Hanging your own wallpaper is like doing your own root canal. Finding a qualified wallpaper hanger proved difficult until a friend, April, gave me the contact info for Jan of Busy Bee Wallpaper. Jan did a phenomenal job and, unlike the rest of the folks I attempted to contact, set a date and stuck to it. 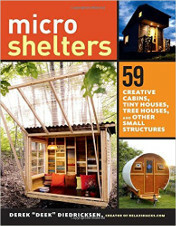 I enjoyed watching her deftly cut around fussy window molding and uneven and out of square walls. She made it look easy which it ain’t. The Closing of the Open Concept? The ultimate open floor plan house designed by Shigeru Ban. 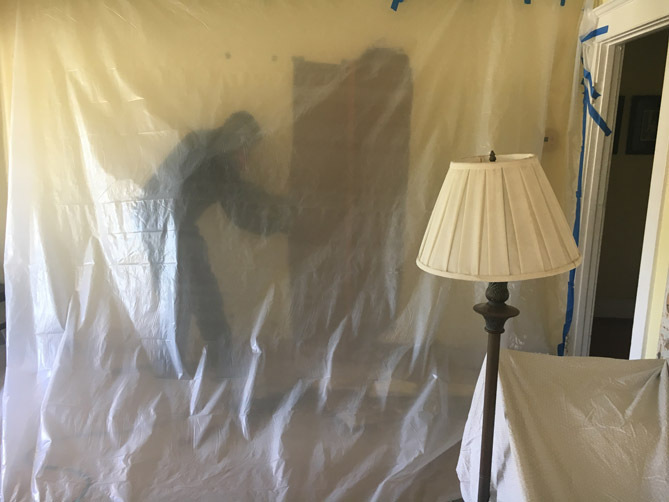 A big thanks to Professor Nic for alerting me to the Boston Globe’s coverage of one of my pet issues, “People in open-concept homes are realizing the walls were there for a reason.” Apparently, “the pendulum is swinging back” towards the old fashioned concept of walls. There’s even a hashtag, #OpenConceptRemorse. 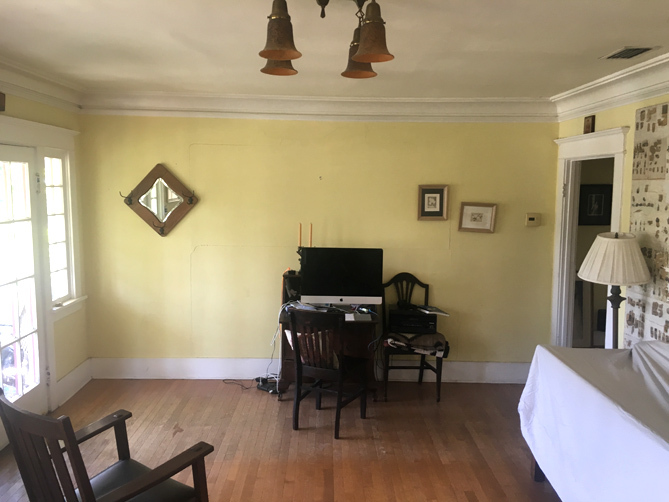 Kate Wagner of McMansion Hell covered the history of the open concept in a City Lab article from last year, “The Case for Rooms.” As Wagner points out in her article, bungalows like the one we live in often had an open living room/dining room arrangement. 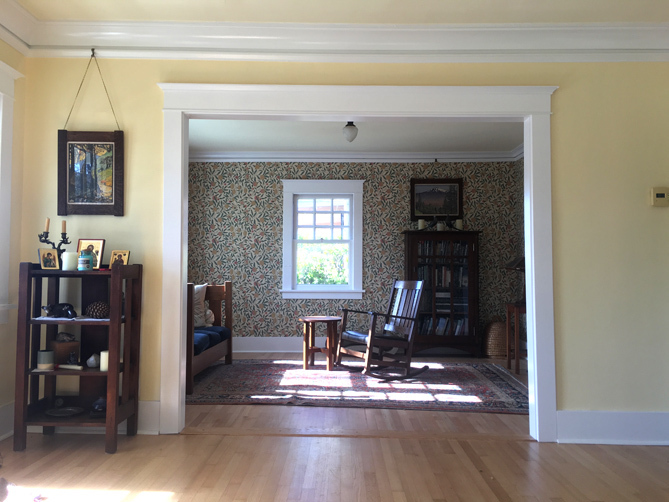 Last year I restored our two front rooms to their previous, 1920s openness. At some point in the drywall era the opening was plugged up to make another bedroom. Here’s the before pic above. And what our house looks like now. Wagner also points out that while some bungalows had two open front rooms there were still plenty of walls. The kitchen was always walled off. On a related note, I need to devote a future post to the mysterious disappearance of molding. For now let’s just say it’s so easy to spit out with a table saw that I don’t know why the house flippers hate on it so much.